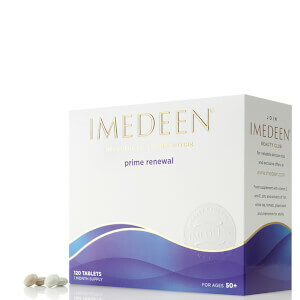 Can a vitamin supplement such as Imedeen Derma One Tab 6-Month Bundle help your skin be its best? The answer is yes. 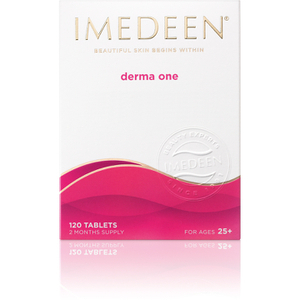 Imedeen Derma One Tablets provide what your skin needs to look its best day after day. Enriched with the power of zinc and healing vitamin E, Derma One treats skin below the surface level where creams and oils cannot reach. Results from this hard working tablet can be seen in as little as 12 weeks. 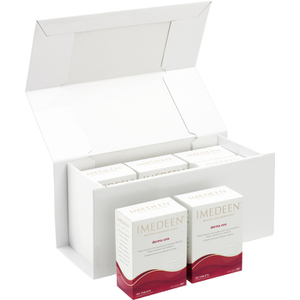 Imedeen goes to work to make your skin firmer and more youthful. Skin retains moisture better so fine lines and wrinkles are less apparent and future ones are prevented from ever occurring. Good price and well packed. Fast shipping. Just Received the parcel. Satisfied with the delivery and package. Will see if Imedeen really works. I have ate it for a half year and recommend to my friend too , says very good for skin .will keep to eat this. This is gift for my wife. According to my wife, things are great with well-being feeling after taking tablet daily. So I am glad with product, too. If there is any promotion about this product, please let me know as soon as possible! It is still early to say it is good for me, I just realise it is time that I have to use supplement and it is recommended by a friend and cannot wait to see what it will works on me. Taking a month after IMEDEEN, skin becomes delicate, smooth all over my body. It improved the original dark and rough state that my skin weakened to. I have bought a year and a half of the amount. It's very good, I like it very much.